Is advanced technology alone solving the case for energy efficiency? Delivering meaningful energy efficiency in buildings often requires debunking myths about building products, performance and solutions. This webcast will focus on strategies and policies that dive into deep efficiency goals. Featured ASHRAE speakers will address myths and realities they’ve discovered through real life experiences. Viewers will learn how a practical design approach can help achieve optimum energy performance in commercial and high-rise residential buildings across the globe. With varying climates and economies, one must consider a holistic approach when assessing a building and its systems. 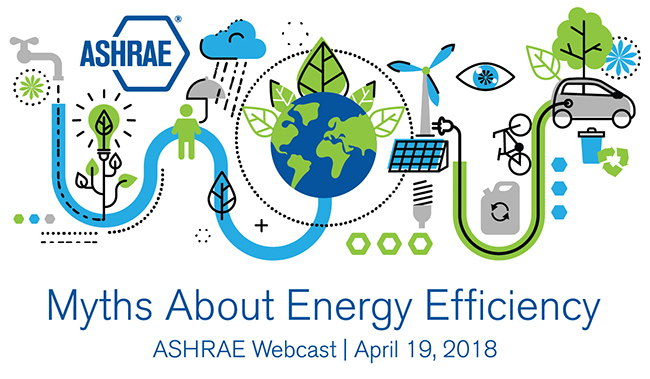 Visit www.ashrae.org/Webcast for additional information about the program, continuing education credits, speakers, and registration.